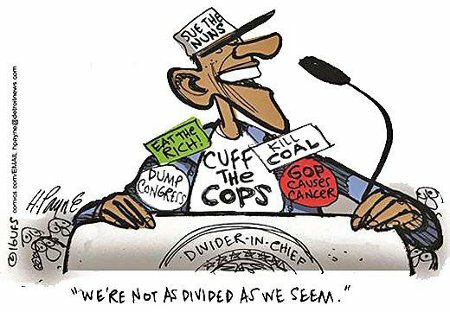 America’s de facto motto has always been E pluribus unum (Out of Many, One) but the Leftists, these oikophobic ethnoguiltists with their various excrescences of “Identity Politics” are Hell-bent upon the opposite, Ex Uno Plures (Out of One, Many). These days, it seems that everything that our domestic enemies do is predicated upon forcing an isolated identity upon every “group” inside America’s borders, whether it be according to age, race, religion, ethnicity, gender, sexual proclivities, economic means, or whatever else they can find or create as and “Identity.” And woe betide any who either try to assimilate and just be Americans or who find some value in some other “groups” culture and choose to incorporate it into their lives. This entry was posted on Monday, August 6th, 2018 at 11:55 am and is filed under Politics, Society. You can leave a response, or trackback from your own site. Lacking a history of actual action, Americans must know Obama by his words and by the people he surrounds himself with. Those two things will have to be enough for Americans and history to know the content of Obama’s character, his loyalties, and his intended legacy. This entry was posted on Friday, July 22nd, 2016 at 6:07 am and is filed under Politics. You can leave a response, or trackback from your own site. Liberals and Progressives love to rant and whine about America’s shrinking middle class. 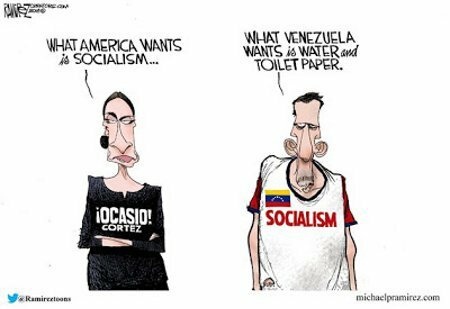 This is actually quite logical since they’re focus has always been to garner votes from the proletariat and their methodology has always been to vilify the bourgeoisie. 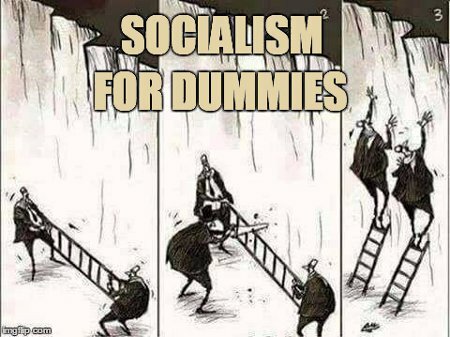 There is, however, a reason why these goals and techniques consistently fail to work in America. America’s middle class, despite Leftist interference, is shrinking more due to upward mobility than downward spiraling. 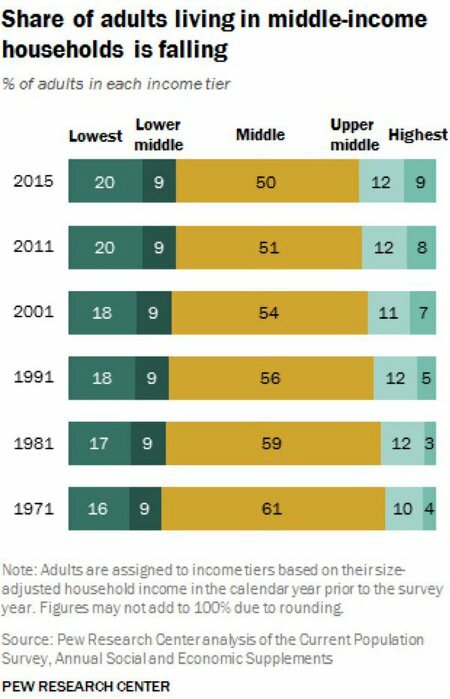 In the 44 years leading up to 2015 the percentage of adults in the middle class has shrunk from 61% to 50%, a drop of 18%. However, during the same period the percentage of adult Americans who are in the upper middle and highest echelons has risen a combined 7%, whereas the numbers in the lowest class have risen only 4%. 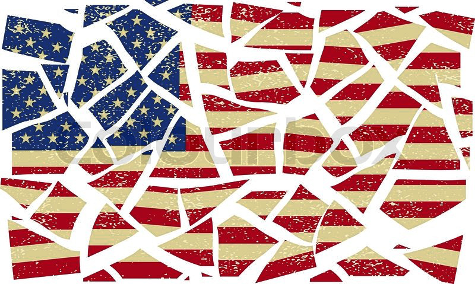 It seems to me that America needs to reject and cast off the Liberals’ and Progressives’ shibboleth of the “shrinking middle class” rather than allowing them to play games with people’s lives and livelihoods. This entry was posted on Monday, June 6th, 2016 at 8:26 am and is filed under Politics, Society. You can leave a response, or trackback from your own site.